March was a busy month for Gingermonkeys’ design studio. With the launch of the Trice Insurance TV advert, we saw our work featured in Campaign magazine and a great weekend with the exhibition stand that we designed for Lancaster Insurance at the NEC Birmingham Restoration Show. March saw our TV commercial commission for Trice Insurance hit national TV, first airing on Good Morning Britain and shown on other channels including Dave, Sky News and Comedy Central. 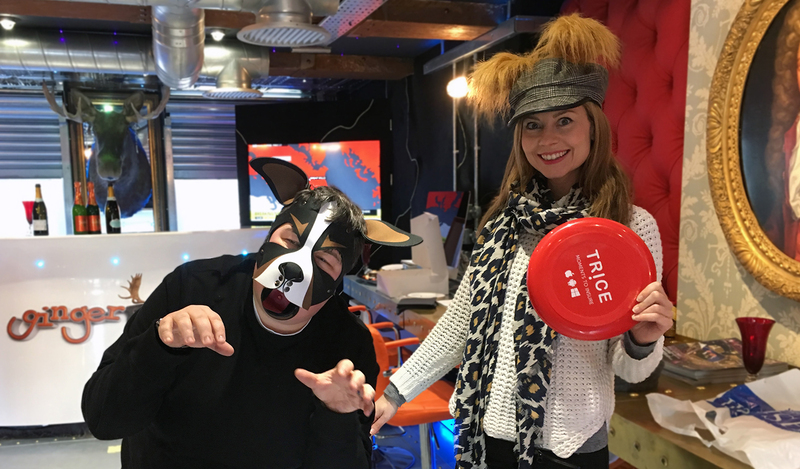 For the launch of the pup TV Commercial, we enjoyed a celebratory prosecco and canapés with some of the Trice team in the Gingermonkeys studio. If you haven’t seen the Trice commercial yet make sure you check it out on Youtube here, and don’t forget to let us know what you think! Each year, the NEC Birmingham hosts The Restoration Show, a car event showcasing all aspects of classic motoring. Gingermonkeys designed the exhibition stand for Lancaster Insurance for the event and Clare attended the all-important stand build last month to enjoy seeing her design work up for visitors to enjoy over the weekend. You can enjoy more pictures of the stand over on the Lancaster Insurance Instagram account. 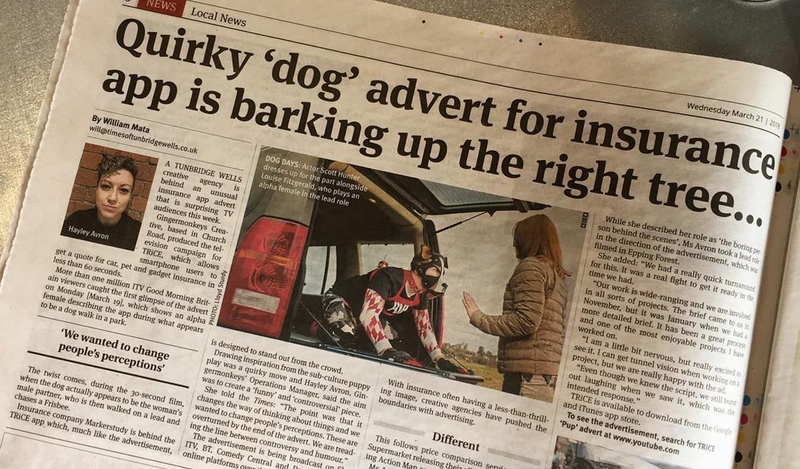 On 21st March, Times of Tunbridge Wells published a great article covering the launch of our Marketing Campaign for Trice Insurance. A great response about the TV commercial. Find the article online here. Gingermonkeys were also proud to get a mention in Campaign Live Magazine for the TV commercial, with a nod to the diverse and alternative style to the advert that was launched on TV screens last month. Campaign is a leading online Marketing, Advertising and Media News Platform showcasing work across the UK as well as the US, Asia-Pacific, India, the Middle East and Turkey. You can check out the article on the Campaign Live Website here. 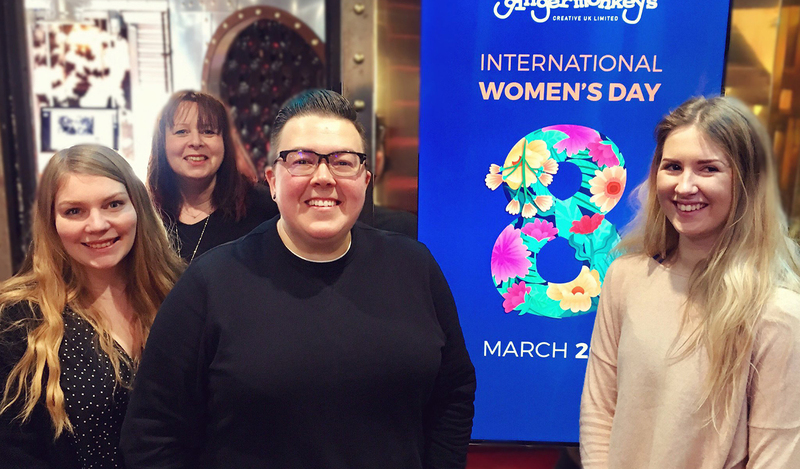 International Women’s day is celebrated on the 8th March, and this year we proudly celebrated the team of fantastic women that work at Gingermonkeys. What a team!